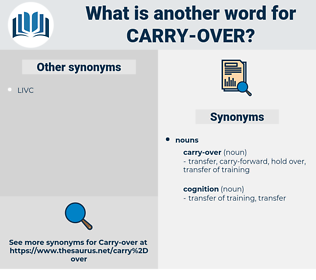 What is another word for carry-over? 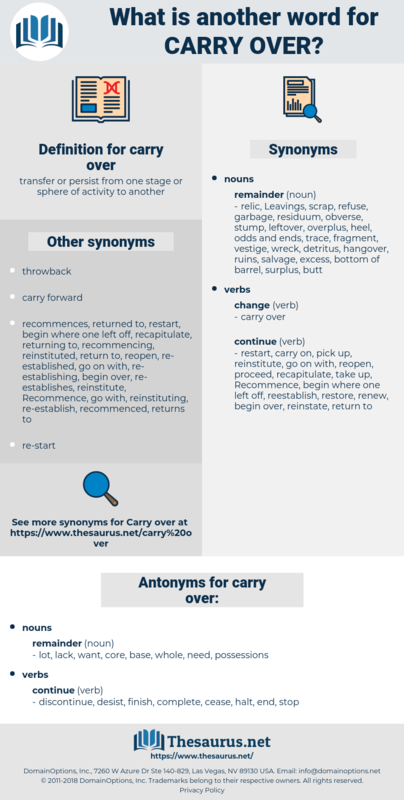 carried-over, carried-forward, reprofiled, re-profiled, prior-year. roll-over, Carrying, handover, deportation, carryback, transmission, carry-forward, re-profiling, transposition, balance. lot, want, lack, whole, core, base, need, possessions. generalization, stimulus generalization, generalisation, Stimulus Generalisation.